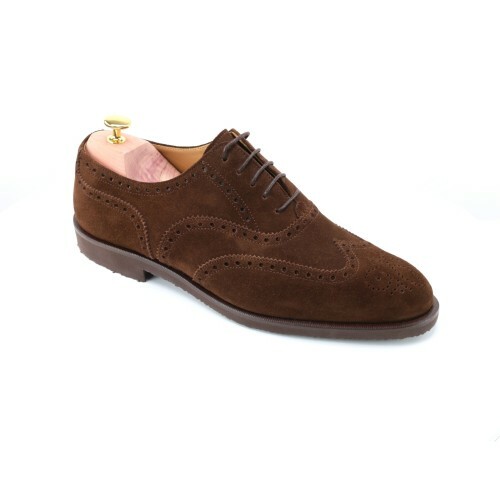 Step into the blueprint example of the stylish suede brogue, the Derwent in Tobacco Brown. A perennial favourite and a constant seller with its crepe rubber sole providing additional comfort. The DERWENT is the archetypical Brogue, sympathetically priced, combining value and style in equal measure, and beloved by generations of discerning Shipton & Heneage clients. To say more would be superfluous.